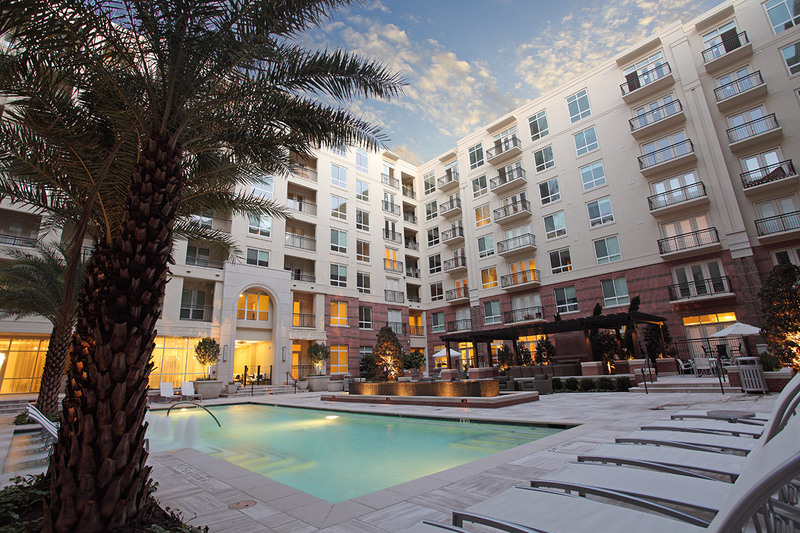 WaterWall Place, a seven-story, 316,287-square-foot, 322 luxury for-rent residential community, is located in Uptown Houston. The development is located on a three-acre site at the northeast corner of Hidalgo Street and McCue Road, overlooking the Gerald D. Hines Waterwall Park. Designed by Wallace Garcia Wilson with Jackson Ryan as design architect, the steel-framed WaterWall Place forms a "U" shape surrounding a grand courtyard space. The residential units and club amenities located on the ground floor podium level feature 11-foot ceilings, as does the penthouse level. The project's façade is clad in cast stone and rose-colored brick to complement the color palette of the adjacent Waterwall. The project's one- and two-bedroom apartments range in size from 700 to 1,740 square feet and include high-quality finishes. In addition to the views of the park, residents can enjoy state-of-the-art common areas, a resort-style pool, a fitness center, a business center and a seventh-level sky lounge for resident activities. Parking is provided in a 7.5-level, 518-car garage. The project delivered first units for occupancy in January 2014, with final completion in July 2014. 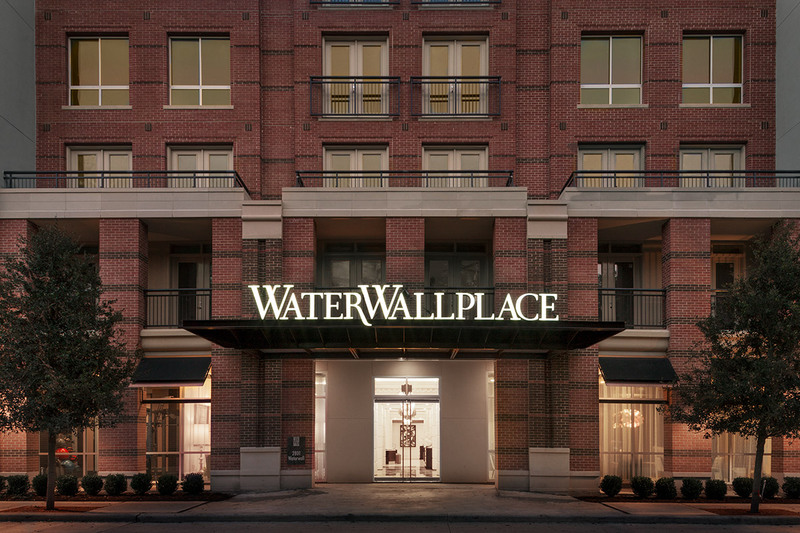 Hines sold WaterWall Place in September 2018.